As usual, the race in the Woodlands was hot and steamy, especially as the race progressed. 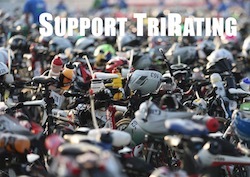 The swim and bike were pretty much as they always are – the bike times were fast as expected. During the run, the athletes struggled a bit more – the run adjustment was -3:51 and we saw a pretty large number of DNFs. This year’s race had an overall adjustment of 8:36 and leading to a new course rating of 11:17. Joe Skipper and Lionel Sanders put out two spectacular bike rides, and even with having to make up some time after the swim, they had a decent lead going into the run. Lionel quickly looked like he was working hard and was slowly dropping back from Joe. Matt Hanson was quickly working his way to the front, and the cameras were surprised when he was taking the lead around the half-marathon mark. He slowed down a bit on the third run loop, but won by almost ten minutes in front of Joe Skipper. Third place went to veteran racer Ronnie Schildknecht, who had one of only three sub-3h marathons. 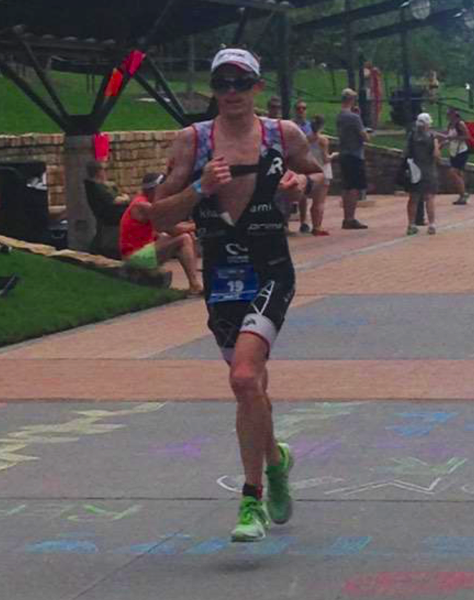 As the winner, Matt Hanson gets an automatic Kona slot. Ben Hoffmann (9.650), Lionel Sanders (7.680), and Ronnie Schildknecht (5.310) are in safe Kona territory. Pedro Gomes (4.090) and Joe Skipper (4.015) are closer but should be fine. Jeremy Jurkiewicz (2.755) and Matt Russell (2.160) still have to race for more points. Angela Naeth had to make up six minutes after the swim, but she quickly joined Rachel Joyce and Leanda Cave at the front. Angela and Leanda then rode away and came into T2 within seconds of each other. On the run, Angela was running just a little bit faster than Leanda and won the race by roughly three minutes. Leanda finished second and also went sub-9. Rachel finished in third place with a decent 3:14 run. 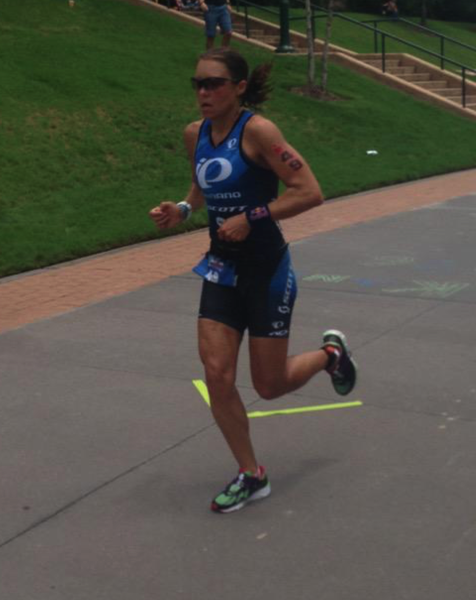 As the winner, Angela Naeth gets an automatic Kona slot, similar for Leanda Cave as the 2012 Kona champion. From a points perspective, Rachel Joyce (11.100) and Heather Wurtele (7.280) are clearly ahead of the projected cutoff. Corinne Abraham (4.725) and Kelly Williamson (4.540) still need a few more points, potentially from 70.3s. Heather Jackson (3.800) and Sarah Piampiano (3.395) have to consider racing another IM if they want to qualify.